Winter is here, and with it comes dry lips. Choose out of 4 flavours, all equally good for you, and completely natural. Avocado Oil has amazing moisturising properties, and it absorbs slowly, giving you long lasting moisture. 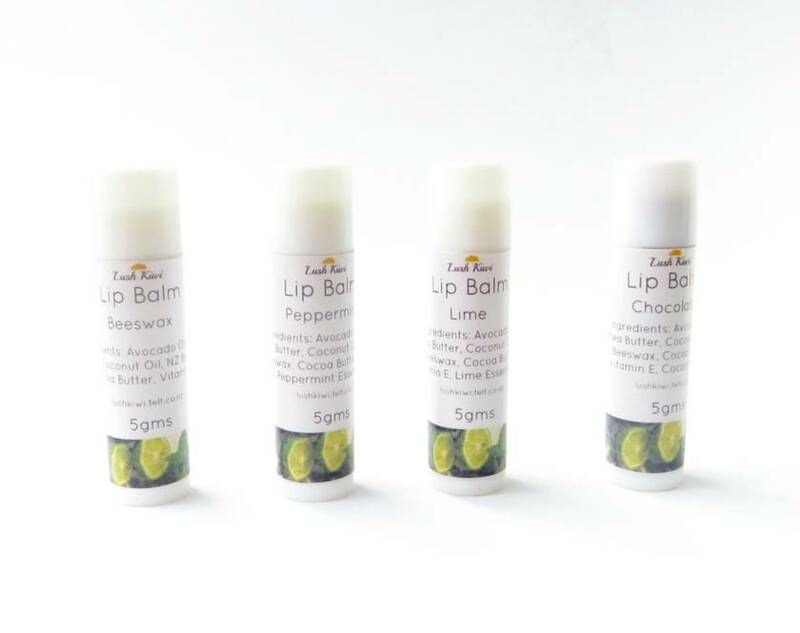 Beeswax locks all the great ingredients in, which include Cocoa Butter, Coconut Oil, and Vitamin E. This lip balm goes on smoothly, stays longer, and smells decadent. Decide between these four amazing choices. Beeswax - A natural lip balm that smells like honey. Chocolate - Who couldn't fall for a silky smooth, chocolatey, lip balm? Peppermint - Cool your dry lips while moisturising with this great choice. Lime - For a little citrusy zap on icy mornings. 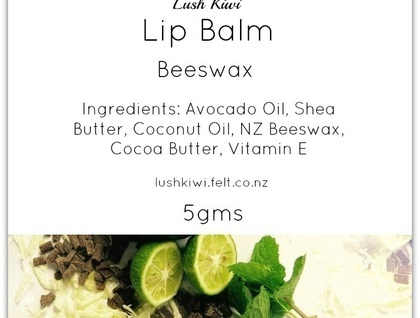 Contact lushkiwi to enquire about payment or shipping options.